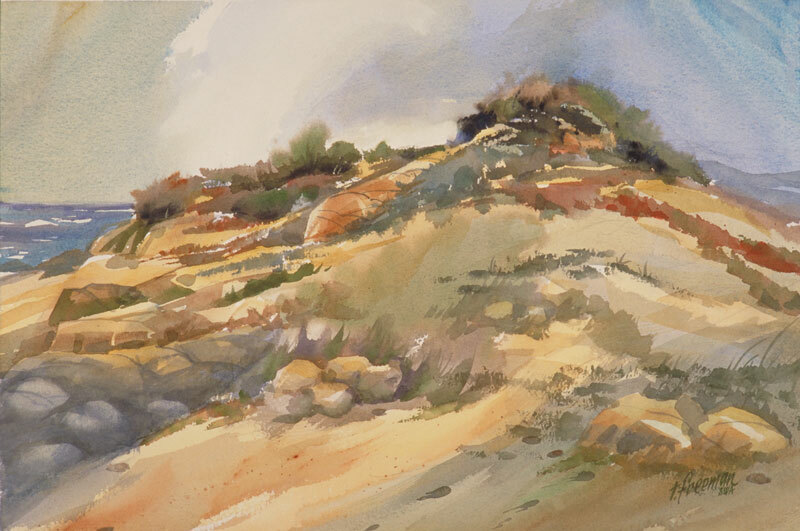 Thomas Freeman Original Watercolor Painting: "Coastal Headland"
I developed this totally from a sketch. I decided I wanted a real unusual sky in there. I just let the brush and colors flow and liked the fog and dark shadow effects. The remainder of the painting varies between soft edge and hard edge. I did the gray foreground rocks by smudging them with a cloth over my thumb.